Penderyn had several mentions last week in a Daily Mail in an interview with Theresa May about BREXIT*. This is the second time the British Prime Minister has mentioned a fondness for our whiskies, after saying that Penderyn was her favourite Christmas tipple back in December. 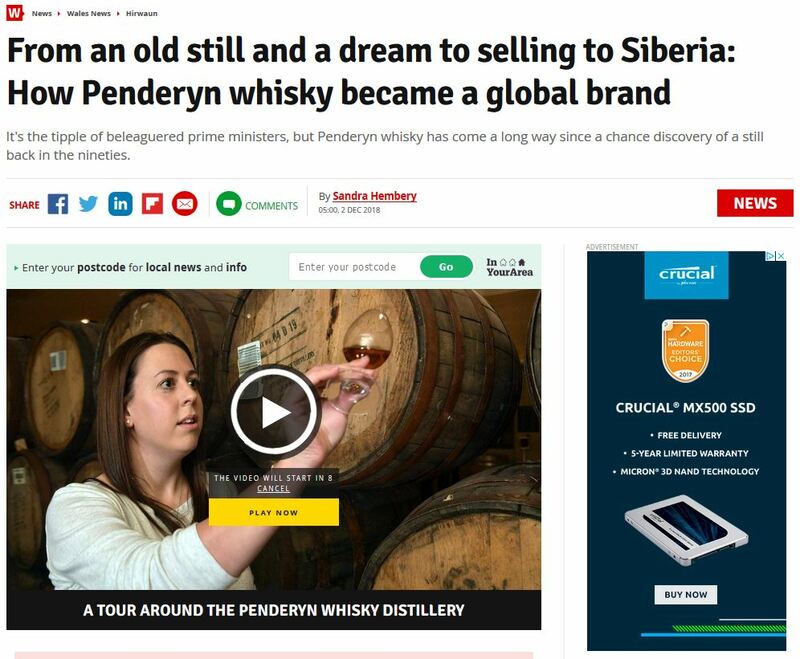 It’s always pleasing to see Penderyn mentioned in the media.We also had a long write-up on the Wales Online website this week. Penderyn has also turned up on TV shows like Escape To The Country and Big Hairy Bikers, and had a mention in the US TV series Quantico. Penderyn has appeared as a favourite drink of detectives in novels by Matt Johnson, and actor Matthew Rhys recently tweeted about us on his way to the Emmy’s where he was victorious in the Outstanding Actor category. We’ve also been mentioned in the House of Commons and the House of Lords on several occasions.